You couldn’t go anywhere near your television or your radio this past summer without being bombarded by the sugary sweet punk pop of The Stereos. Since June of this year, the group has been caught up in a whirlwind of success that some groups never find. A veritable success story in both the online and real world, the stats the group has racked up to date have been rather impressive. Online, they have racked up more than two million views on You Tube with another 1.8 million plays coming courtesy of Myspace; more than 157,000 people are fans of the band on Facebook. And if that isn’t quite enough, they have sold more than 170,000 digital tracks prior to their record even coming close to hitting store shelves. 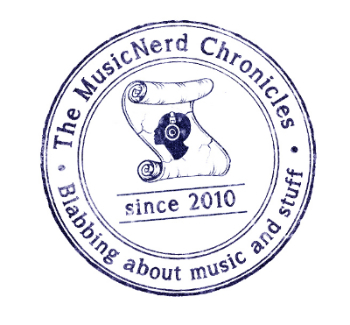 In the real world, the group became instant darlings of video channel Muchmusic after having appeared on the Much reality show Disband, a show which features up and coming bands playing for a jury of music industry professionals. Groups are then given advice for the better or (more often than not) told to “Disband” based on said opinions and the potential they feel the group holds for future success. Although there are no real winners or losers on the program, the band has been one of the few to emerge from the experience and move onto greater things. When I caught up with Stereos main man Patrick Kordyback, he admits that the band’s success has been dizzying. But like many seemingly overnight successes, Stereos came together like countless bands before them, forming in one of their parent basements and refining their image, sound and songs for approximately a year before coming out to the world. One of the group’s demos came to the attention of Greig Nori, former member of Canadian pop band Treble Charger who is also one of the driving forces behind Disband. 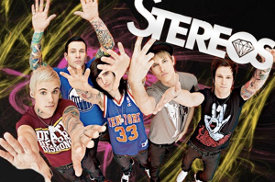 Stereos upcoming Canadian tour is the first step in what Patrick hopes will be a busy year ahead. Stereos will be playing alongside The Midway State, The Envy and The Artist Life in Fredericton at the Playhouse on Nov. 17 and at the Riverview Arts Centre in Riverview the following evening, Nov. 18.